The Research Library collects books, journals, articles, dissertations, conference reports, videocassettes and other multimedia titles, internet-based information, pamphlets and clippings, all of which are cataloged in the library’s in-house database. The Research Library is open to the public, although its materials circulate only to staff of the Perkins School for the Blind. The Research Librarian provides telephone reference and limited research assistance at no charge. Some materials may be requested through inter-library loan. 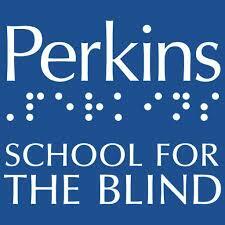 The Archives contain much of the heritage and institutional history of Perkins School for the Blind, particularly that of the nineteenth- and the early twentieth-century. The mission of the Archives is to preserve this material and to make it available to researchers. The Archives’ holdings include annual reports, teachers’ journals, correspondence of the first two directors, ledgers and photographs. The Archives have many of Laura Bridgman’s papers, journals, correspondence and personal effects; and the Nella Braddy Henney collection of correspondence with Helen Keller. The Archives also have materials on the global history of education of the blind, including many examples of printing and writing systems for the blind; and the Bettye Krolick Collection on the history of music notation. Children and adults who are blind, visually impaired, deaf-blind, or with multiple disabilities. The Research Library welcomes anyone who wishes to consult its holdings. In addition, the Archives provide limited references services by mail, by telephone and by e-mail for those who are unable to come to the Research Library in person.